This page is for the challenges at Mixed Media Place and 7 Dots Studio. The Mixed Media Place - Exercise 16 - is New Beginnings. 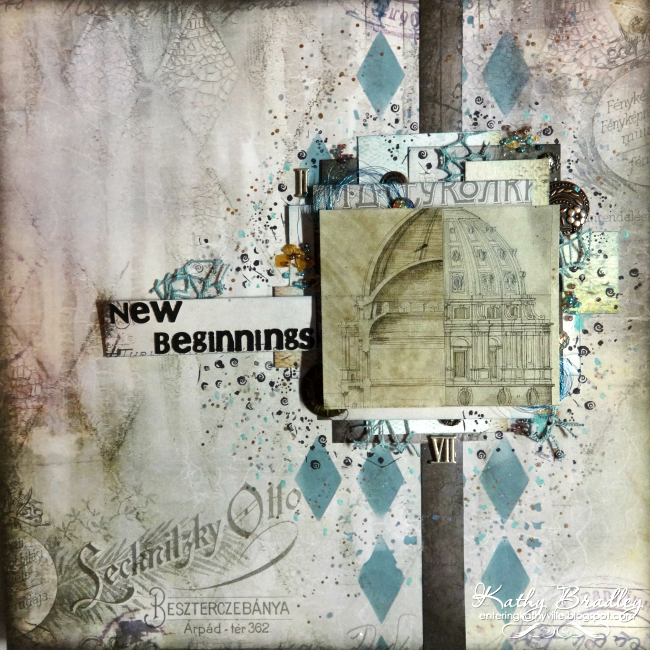 The 7 Dots challenge is to make something with an industrial feel. Thank you for this beautiful work with the lovely photo and the soft colors...Good luck from 7Dots!!! Fantastic layout Kathy! Great mix of papers! Love all the layers! I love the pretty colors and beautiful details! 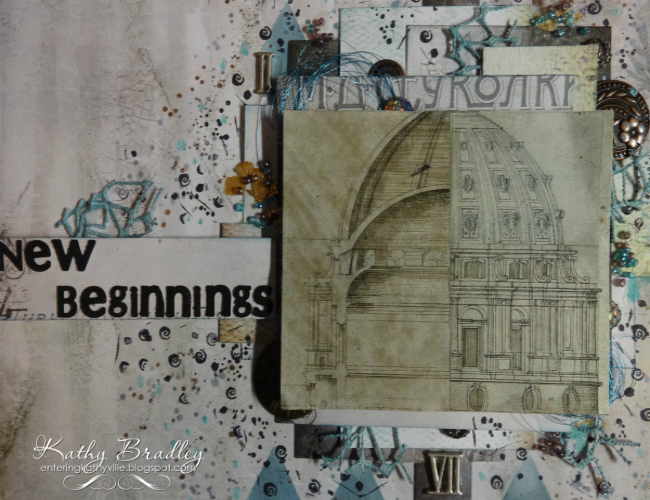 Thank you for joining the Mixed Media Place challenge! What a beautiful design. Love the paper and the structure. Gorgeous layout Kathy! Love the design and color combo! What a great page and great paper layers! 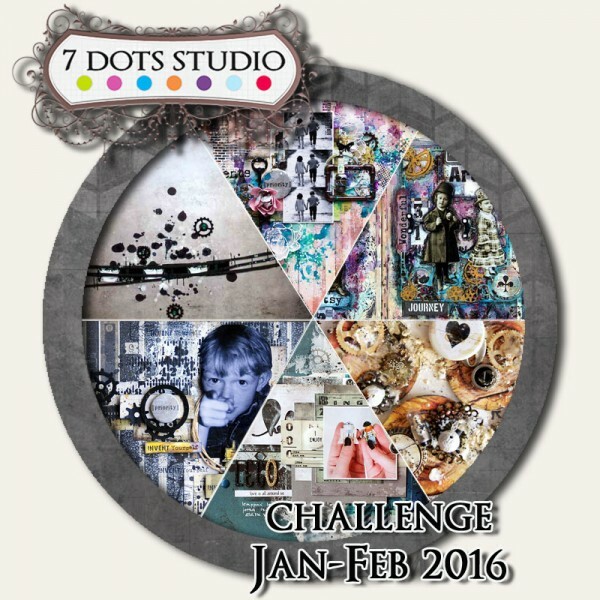 Thank you do much for joining the 7 Dots Studio challenge! Kathy those diamonds in the background!!! Gorgeous!! Fabulous! Thank you for joining us over at 7Dots Studio! Wonderful page! Thank you so much for joining the 7 Dots Studio challenge! Great layout! Thank you for joining us over at 7Dots Studio!